It is very cool having the opportunity to ask Joseph Delaney some questions about his book and writing career. Joseph is the author of the spectacularly dark fantasy series known as The Wardstone Chronicles and The Starblade Chronicles. 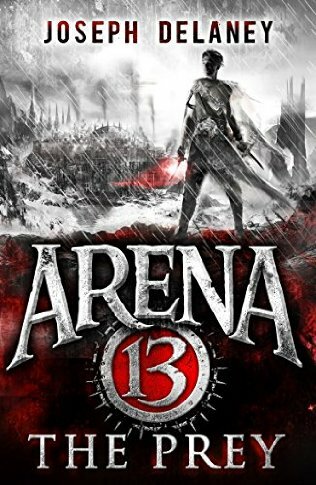 His latest action fantasy series, Arena 13, is set in the city Midgard which is terrorised by Hob - a terrifying and evil creature who tortures at will and has the rulers of the city completely under his control. This is another brilliant series and I'm delighted to introduce the below interview which I hope you will read and enjoy. What can we expect in Arena 13: The Prey? I can’t say too much because it would spoil things for a lot of readers. But Leif will visit his own people, the Genthai, and there will be revelations that tell us more about this world. Then we return to fighting in Arena 13 and Hob will visit there at least once before the end of that book. Demon Hob is one of my personal favourite characters, what can you tell us about him that we don't already know? Again we find more out about Hob in the book. We find out his true role and why he is within the barrier. How much did you learn from writing Mercer's Whore? ‘Mercer’s Whore’ was the first big book I’d ever finished and the second thing I’d had published (the first was a short story). It got me into the method I use now for writing. Once I have the initial idea I begin to write without being sure where it will take me. It is a process of discovery. That was the first book which was written in that way. At what point did you start to think about writing books for children? This happened in the Year 1999, when my agent suggested it. At first I felt reluctant to do that feeling I was giving up on adult writing and would have ‘failed’. But I quickly realised that writing for children had lots of possibilities and I really enjoy it now. I suppose that inside my head I’m still a thirteen year old so I’m writing for myself! How important is it, for us as readers, to believe in the worlds that you write about? I think it is vital. When I read a book I want to engage fully with the world of the writer so I try to create the possibility for that in my own work. I think attention to detail is vital and I use a glossary to flesh out the world including things that might not even be in the actual narrative. I also usually use a first person narration; I think that helps the reader get into the head of a character. What tips can you share when writing a believable world/background? You have to work out the rules of that world in detail and keep to them. You can only deviate under exceptional circumstances and with a credible reason. For example Grimalkin, the witch assassin, can cross running water whereas most witches can’t. Why? That’s because she trains herself to tolerate the pain and is fanatical about developing her strengths and combat abilities. So for her the rule can be bent. My favourite place to write used to be my study at home (where two of my children used to sleep before they left home). Now it’s a case of ‘have laptop will travel’! I can write anywhere and even on a book tour spend at least an hour a day writing in my hotel room. I usually post a ‘deskie’ on social media to show my current writing base. What do you think has the most impact on your reader - the opening line or the closing chapter/line? Both are important, but I think the opening paragraph is vital in grabbing the attention of the reader and making them want to read on. But the end is also vital particularly when writing a series. It has to be made clear which issues have been settled in the present book with hints of where the narrative is likely to go next. Tom Ward routinely sums up the situation at the end of each book. 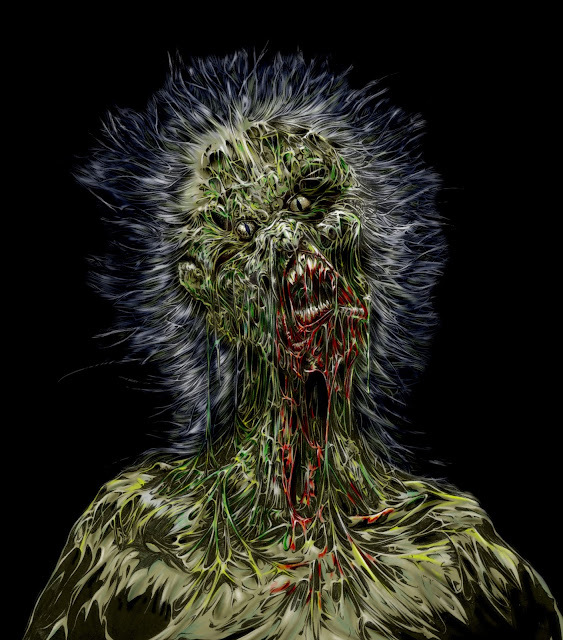 But in ‘A New Darkness’ I used a shock ending which was only made possible because I used two narrators. I think the central idea has to be relatively novel but above all the reader must care about the main characters. The reader has to identify with him/her or a least care about what happens to them. There has to be a conflict with clear goals and an uncertain outcome. I also think that uncertainty has to be built in; things cannot be predictable. It has to be clear that anything can happen, anybody can die and it may not be a happy ending. Which author has recently inspired you? I don’t really get inspired by other authors. I draw my inspiration from dreams, daydreams, situations, people and particularly places encountered in the real world. Generally, reading books inspired me to begin writing. I would read a book and wish that I’d written it. Frank Herbert and Tolkien first made me think I’d like to be a writer. I have decisions to make. 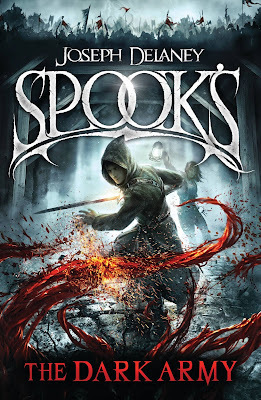 Do I write another Spook’s book after ‘The Dark Assassin’ (published next year). Or do I write a fourth Arena 13 book (soon I will start writing the third). Or do I first finish a completely new SF book (written about half of it so far). I have to discuss this with my publisher and make up my mind before the end of May this year. Have you got anything else that you would you like to reveal or share with us? Yes this is a new addition to the glossary and will feature in ‘Arena 13: the Prey’. The High Adept of the Imperial Academy who was slain by djinn terrorists at the beginning of the First Insurrection. Her soul was placed in Containment. She was named after Ada Augusta, the Countess of Lovelace, who wrote the very first computer algorithm.